Friends, November is nearly over! Can you believe it? I pray that each of you had a lovely Thanksgiving. I'm grateful that you're here for the Grace at Home party, where we celebrate all the ways we make our homes places of grace. Here are some features from our last party. 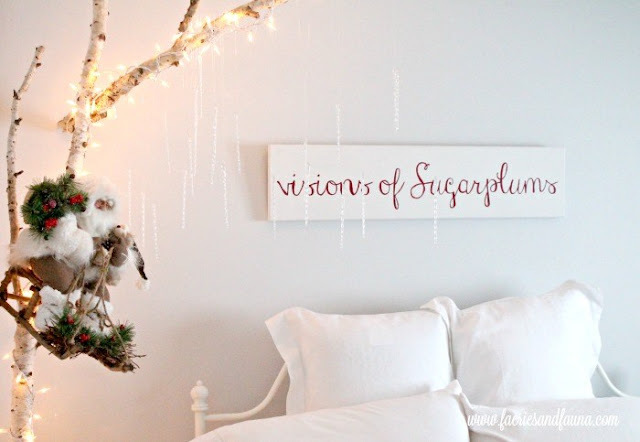 Leanna from Faeries and Fauna created this darling sign for a child's bedroom for Christmastime. Carol from Comfort Spring Station came up with a wonderful idea: acts of kindness for every day of Advent. 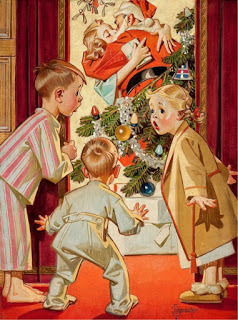 She provides free printables and guides for this special way to count the days of Advent. 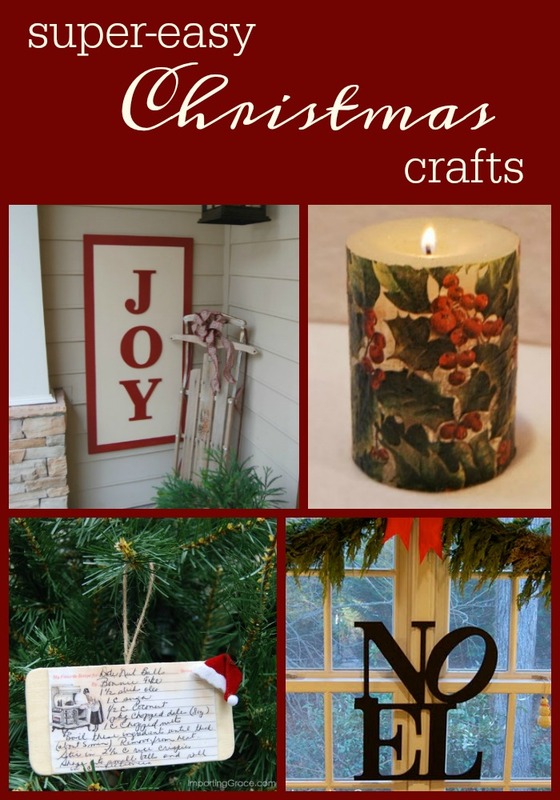 Janine from Keeping House provides a guide for organization at Christmastime, designed to help you go from Christmas Chaos to Christmas Calm. 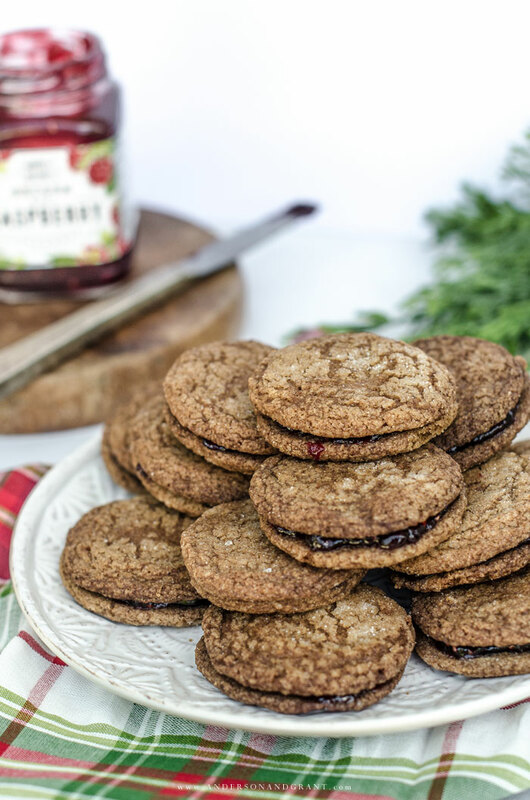 Jamie from Anderson + Grant shared a recipe for raspberry-filled gingersnap cookies. Don't these look delicious? 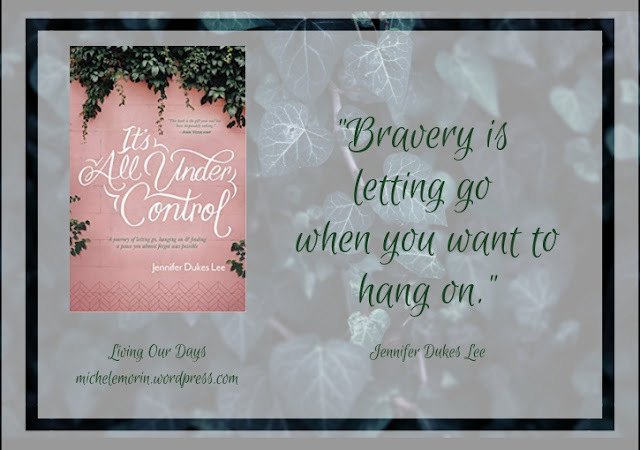 Michele from Living Our Days shared her thoughts on the hard work of hanging on and the brave work of letting go. As for me, I revisited some of my favorite easy-to-make crafts for Christmas decorating. I'd love to know what you think of these! Thanks so much for hosting, Richella! Wishing you a most beautiful day. Thanks for featuring my review of Jennifer's great book! Can't wait to hear your thoughts on it once you've had a chance to read it. And that recipe card ornament is such a great idea! 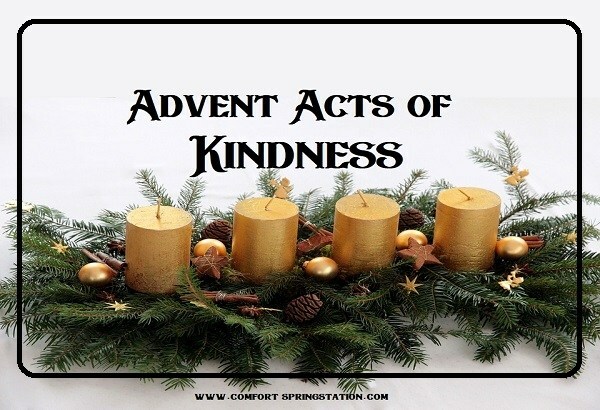 Thanks so much for featuring my Advent Acts of Kindness. Have a blessed day! I know - November just blew by! Thanks for hosting and enjoy the rest of your week! Looks like a great Xmas party today dear Richella. Thanks for hosting this great link up! Thanks for hosting each week, Richella! I love Jamie's posts... she's a great blogger! Richella, coming here to your blog calms me. You always have such uplifting additions to your selections. I thank you for that, and for hosting these snippets each week. Thanks for hosting another wonderful party! Have a great weekend!